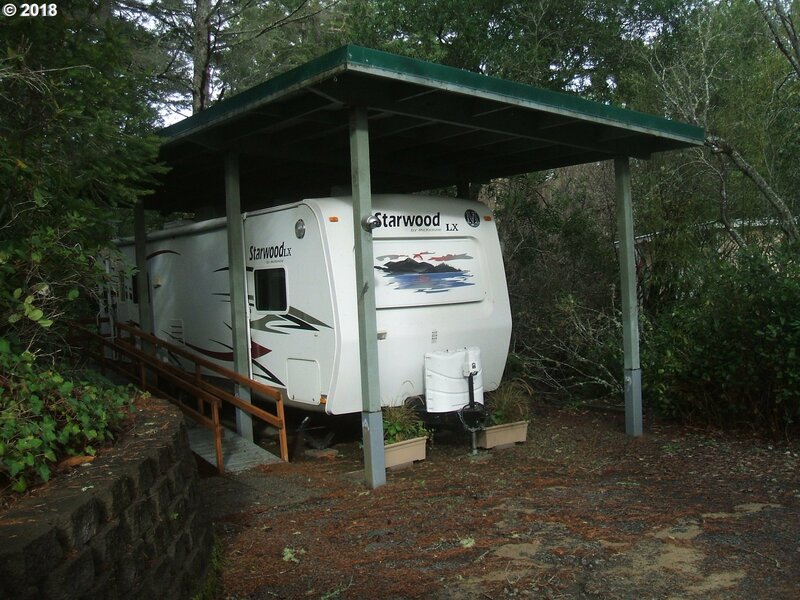 This property is a great weekender or set up for a full time. Gated all-age community with lots of trees + natural vegetation. The trailer is covered by a sturdy Ramada.